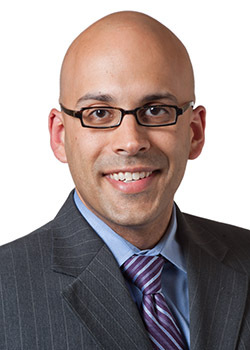 Karl Bilimoria, MD, MS, associate professor of Surgery in the Division of Surgical Oncology, published research detailing surgical residents’ growing acceptance of new flexible shift lengths. Surgical residents across the country have grown accustomed to less restrictive shift lengths, according to new findings published in the New England Journal of Medicine (NEJM). The research explored implications from a Northwestern Medicine study also published in NEJM, which found in 2016 that flexible duty hour requirements were safe for patients and improved resident education. “We’re not allowing residents to work more hours, we’re just rearranging their hours within the set limits to improve patient care and resident education,” said Karl Bilimoria, MD, MS, John B. Murphy Professor of Surgery and director of the Surgical Outcomes and Quality Improvement Center. Bilimoria was the senior author of the current publication, and was also the lead author on the 2016 study. Over the past two decades, the Accreditation Council for Graduate Medical Education (ACGME) introduced restrictions on resident shift length and capped duty hours to 80 hours per week, in response to concerns about patient safety and resident well-being. However, these reforms also caused unintended consequences to patient care and resident training, according to Bilimoria. In the 2016 study, Bilimoria’s team designed a trial involving 117 surgical residency programs across the U.S., allowing half of the participating institutions to waive rules on maximum shift lengths and time off between shifts by applying for exemption waivers. After a year, the flexible programs showed no change in patient safety or quality of care. Meanwhile, residents at those institutions reported improved continuity of care, surgical training and professionalism. They did report that these flexible policies had a negative effect on leisure or time with family and friends, but they appeared willing to make the sacrifice. The ACGME took notice of the results, forming a task force to evaluate the concept further and officially adopting the flexible duty hours policy on July 1, 2017. Bilimoria and colleagues extended the trial by another year to investigate if residents’ perceptions of well-being changed in the second year of the trial. In the current study, the scientists found fewer trainees reported negative effects stemming from flexible duty hours in year two when compared to year one. The extra year of experience as a resident may have also contributed to the growing acceptance, according to Bilimoria. Next, Bilimoria is planning on investigating other resident safety issues he stumbled upon during the course of the duty hours study. Needle stick rates were higher than they should be, Bilimoria said, so additional training and systems to prevent them should be implemented. Another issue relates to fatigue and burnout, which may contribute to safety issues for residents outside the hospital. Bilimoria is also an associate professor and vice chair of Surgical Oncology in the Department of Surgery, as well as vice president for quality at Northwestern Memorial HealthCare. Other authors on the correspondence included Jeanette Chung, PhD, research assistant professor of Surgery in the Division of Surgical Oncology, Allison Dahlke, MPH, and Christopher Quinn, MS. The research was supported by the American Board of Surgery, the American College of Surgeons and the ACGME.